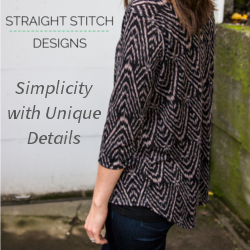 When I first saw it I immediately wanted to make one, but I didn’t see a pattern anywhere, so when I did see the call for testers, I was ALL OVER THAT! I’ve tested for Thread Faction before, and I love her patterns. Her design aesthetic is like mine, simple with some “pretty”. She also likes to refashion and reduce waste in her designs which I very much respect and admire. As my girl is quite thin, I tested size 3 with a size 5 length. It was very easy to grade this change, and the illustrations are helpful. The instructions are also easy to follow, and this top came together surprisingly fast. Beginners to knits could definitely tackle this one. 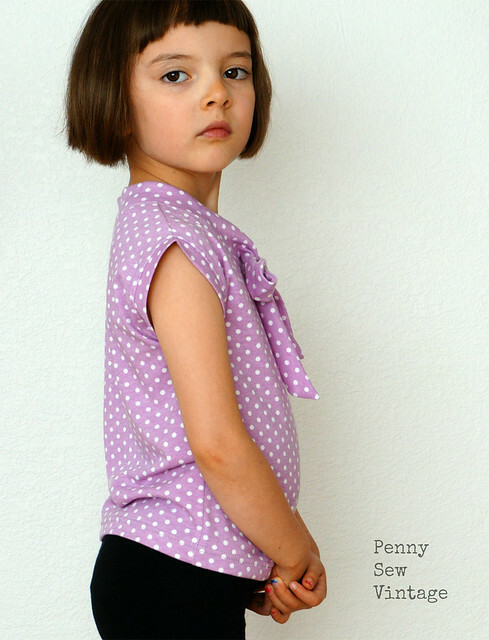 I think it looks so cute with these capris, but it would also look adorable tucked into a skirt. 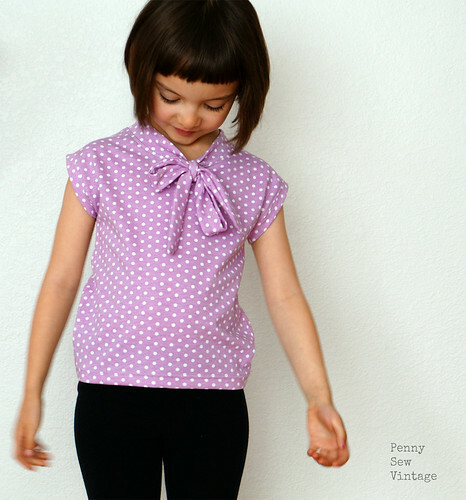 I’m definitely going to need to make some skirts to go along with all of the Bow Blouses I’m going to make. 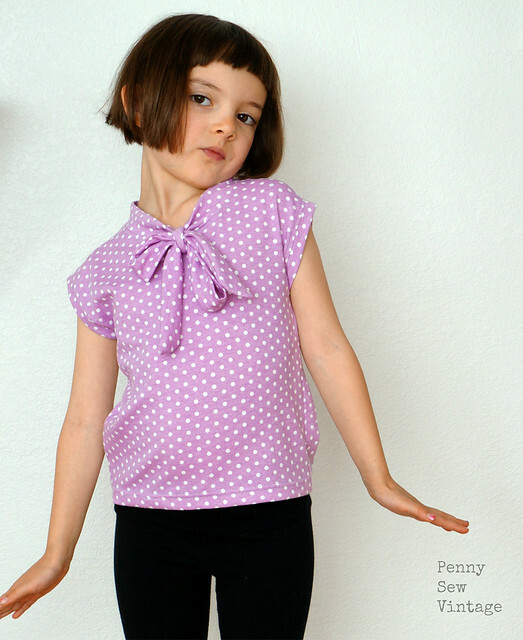 The fabric is Modern Reflection Orchid Dots from Girl Charlee’s Bolt collection. It’s a cotton spandex, has great stretch and recovery, and it’s easy to work with. I love this color too! Oh, and it’s also wide so one yard of this stuff goes pretty far. My girl also made the pattern cover which she’s thrilled about! She is pretty cute and sassy 😉 When I told her she’s on the cover, she immediately asked me, “Which pose was it Mama?”. She’s really getting into her silly poses, which are cute sometimes like the one above, or seriously nutty! Anyway, Thread Faction is so awesome they’re giving away their #106 Skort pattern when you buy the new Bow Blouse before this Sunday evening. A whole summer of cute outfits! Don’t forget the pattern is $8 AUD which converts to roughly $6 USD. Definitely a good time to try Thread Faction patterns if you haven’t yet! Do you like retro or vintage inspired patterns? I definitely like their ease and convenience, but I still enjoy collecting those vintage paper patterns too. I really love that I live in a world with both!!! It’s the little things right?